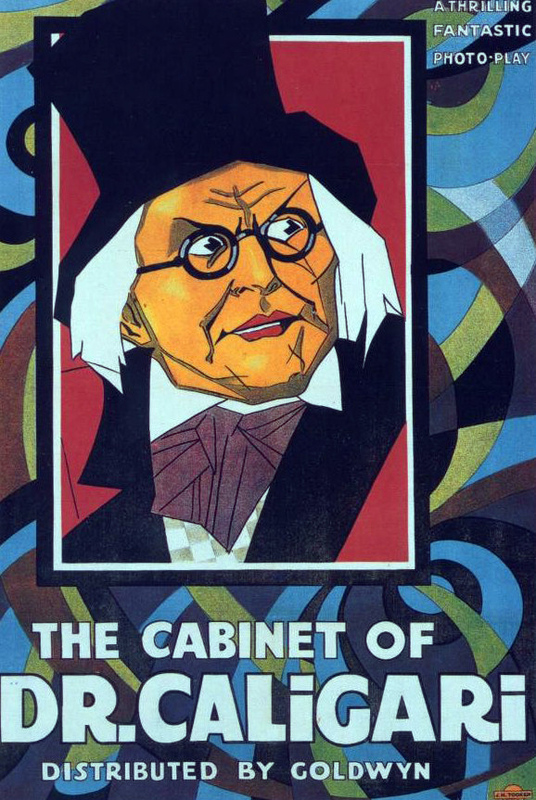 Decla-Bioscop AG, 1920. Directed by Robert Wiene. Camera: Willy Hameister. With Werner Krauss, Conrad Veidt, Friedrich Feher, Lil Dagover, Hans Heinrich von Twardowski, Rudolf Lettinger. 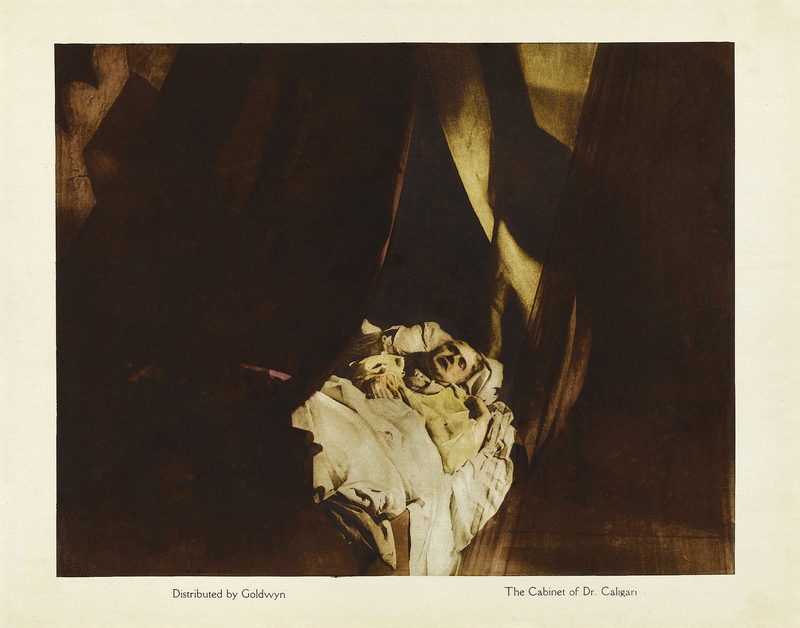 The film tells the story of the deranged Dr. Caligari and his faithful sleepwalking Cesare and their connection to a string of murders in a German mountain village, Holstenwall. 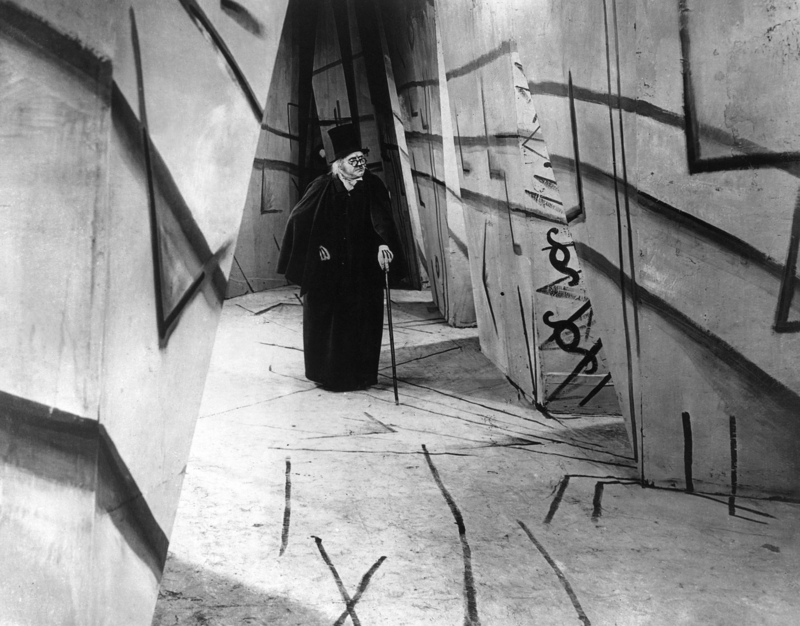 Caligari presents one of the earliest examples of a motion picture "frame story" in which the body of the plot is presented as a flashback, as told by Francis. 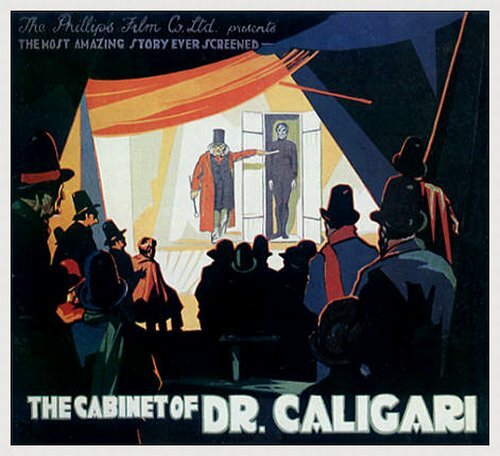 The narrator, Francis, and his friend Alan visit a carnival in the village where they see Dr. Caligari and Cesare, whom the doctor is displaying as an attraction. 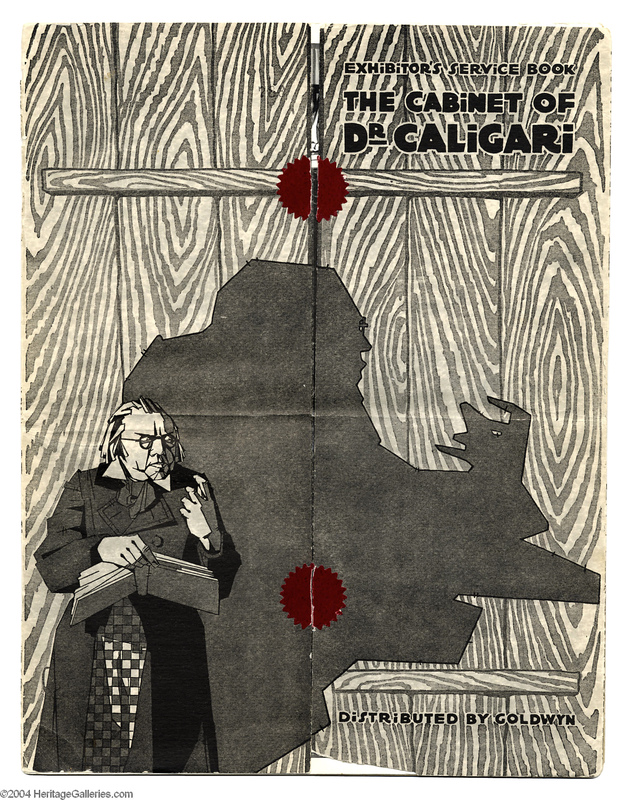 Caligari brags that Cesare can answer any question he is asked. When Alan asks Cesare how long he has to live, Cesare tells Alan that he will die tomorrow at dawn�a prophecy which turns out to be fulfilled. 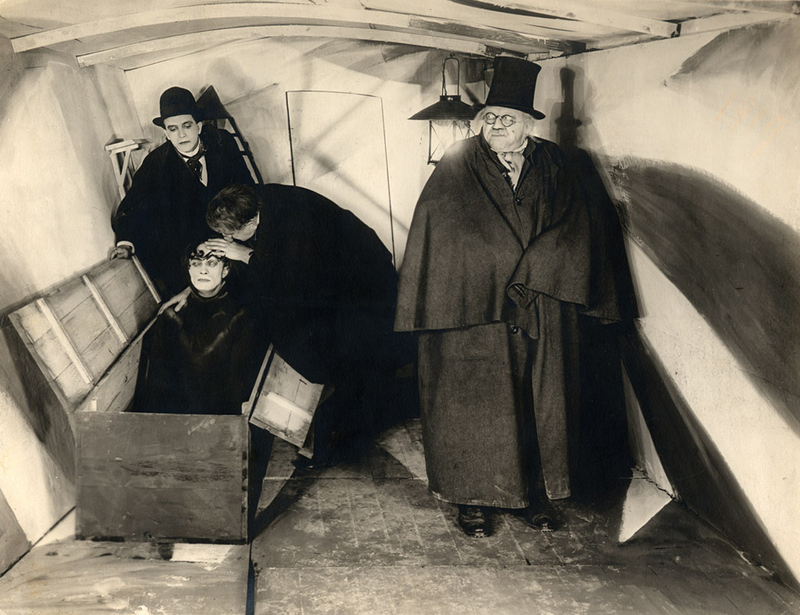 Francis, along with his girlfriend Jane, investigate Caligari and Cesare, which eventually leads to Jane's kidnapping by Cesare. 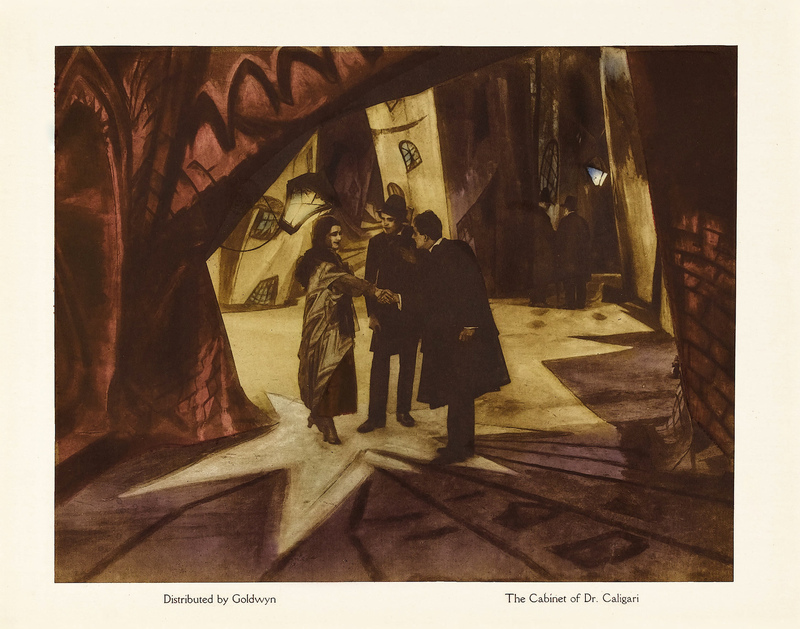 Caligari orders Cesare to kill Jane, but the hypnotized slave relents after her beauty captivates him. He carries Jane out of her house, leading the townsfolk on a lengthy chase. 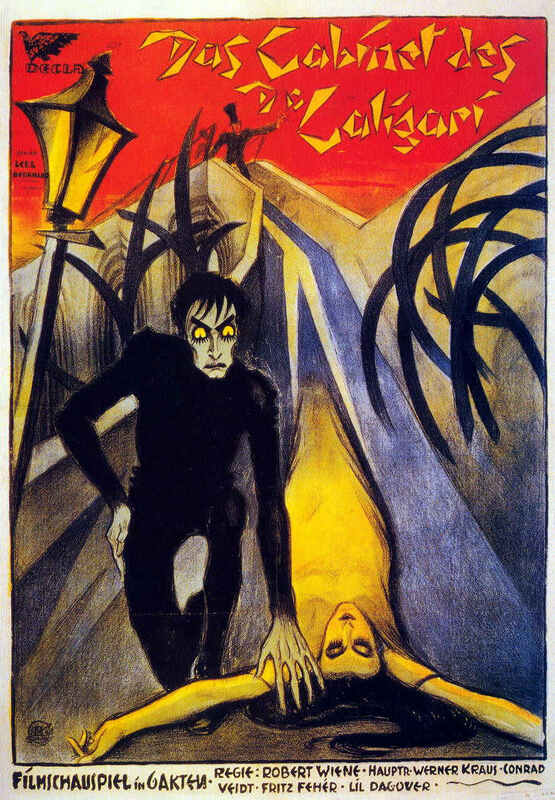 Francis discovers Caligari is the head of the local insane asylum, and with the help of his colleagues discovers that he is obsessed with the story of a previous Dr. Caligari, who used a somnambulist to murder people as a traveling act. 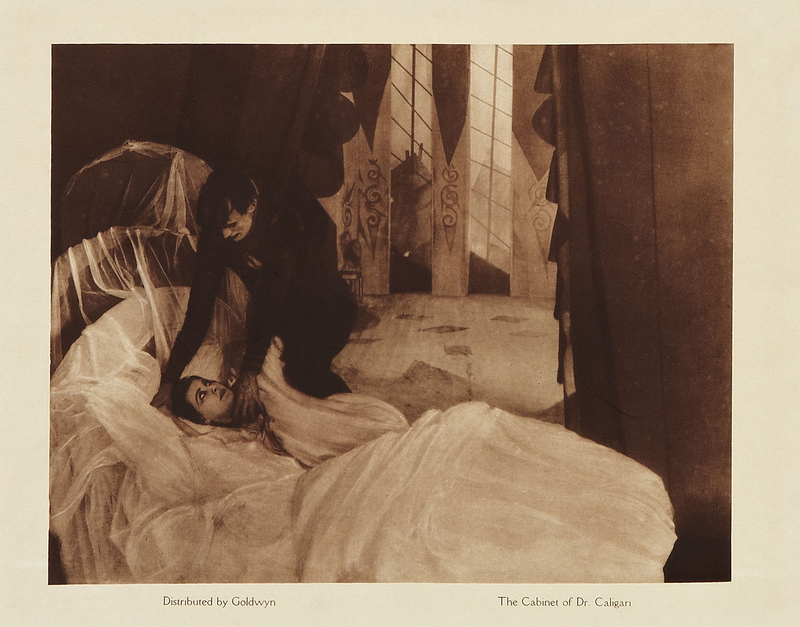 Cesare falls to his death during the pursuit and the townsfolk discover that Caligari had created a dummy of Cesare to distract Francis. 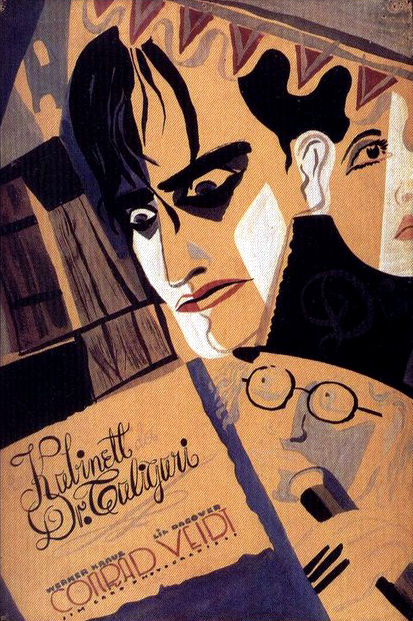 After being confronted with the dead Cesare, Caligari breaks down and reveals his mania and is imprisoned in his asylum. 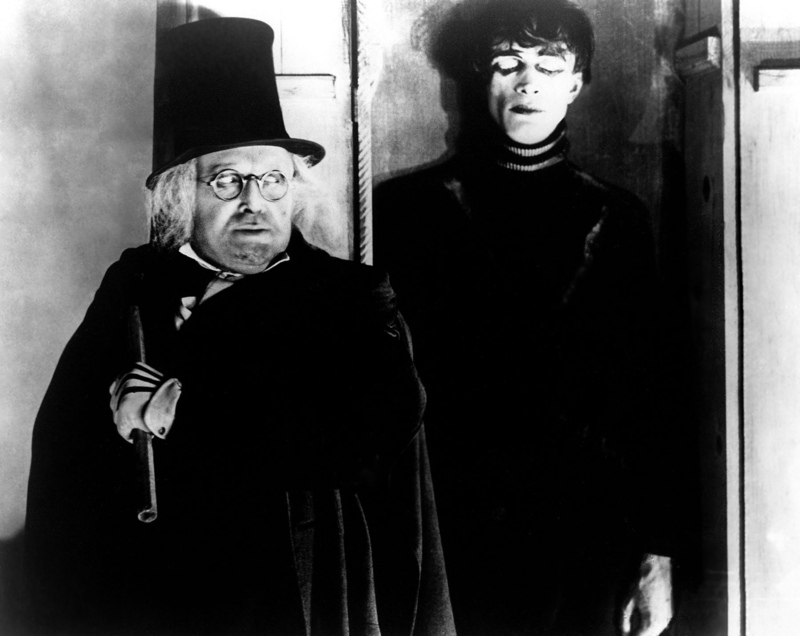 The influential twist ending reveals that Francis' flashback is actually his fantasy: the man he claims is Caligari is indeed his asylum doctor, who, after this revelation of his patient's delusion, claims to be able to cure him.